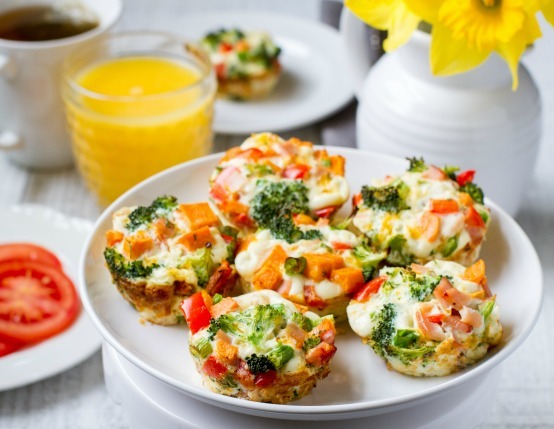 Egg muffins are the ultimate grab-and-go breakfast. Whip up this egg white, Canadian Bacon and veggie recipe for an easy, healthy choice all week long. Preheat oven to 375˚F. Spray muffin pan with non-stick cooking spray. Line baking sheet with aluminum foil. Place diced sweet potato on baking pan and toss with olive oil. Bake for about 10 minutes, until sweet potatoes are soft. Allow to cool. 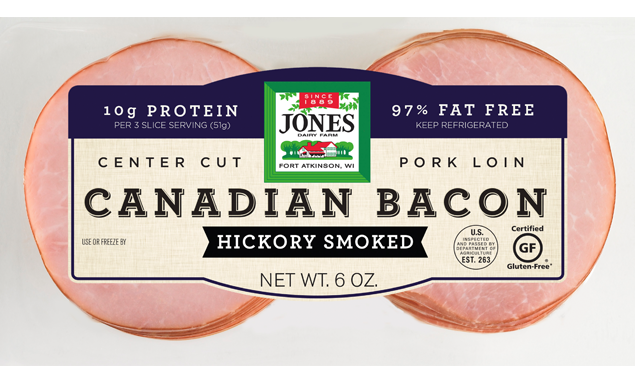 In non-stick pan on medium-high heat cook Canadian Bacon, about 1-minute on each side. Remove from pan and allow to cool. When cooled dice into bite-size pieces. In large bowl combine broccoli, red pepper, green onions, sweet potatoes and diced Canadian bacon. In separate bowl combine egg whites, milk, cheese, black pepper and dill. Whisk until well-combined. Add to the bowl with vegetables. Distribute mixture evenly into muffin tin. Bake until each frittata is set in center, about 20 minutes. Serve warm or at room temperature. I really liked this recipe, next time I will add salt. I Loved the sweet potatoes in them. Totally healthy as written, but I used 1/2 fat cheese instead. Will make again!